Halfway into the most intense learning experience of their sailing lives the 109 boys and girls in the California International Sailing Association's 33rd annual Advanced Racing Clinic at Alamitos Bay Yacht Club have soaked up boatloads of salt water, sweat and expertise. Above: Gu Ramen’s Tonkontsu ramen. Finally: Long Beach scores more ramen—and this time, it’s coming to DTLB. 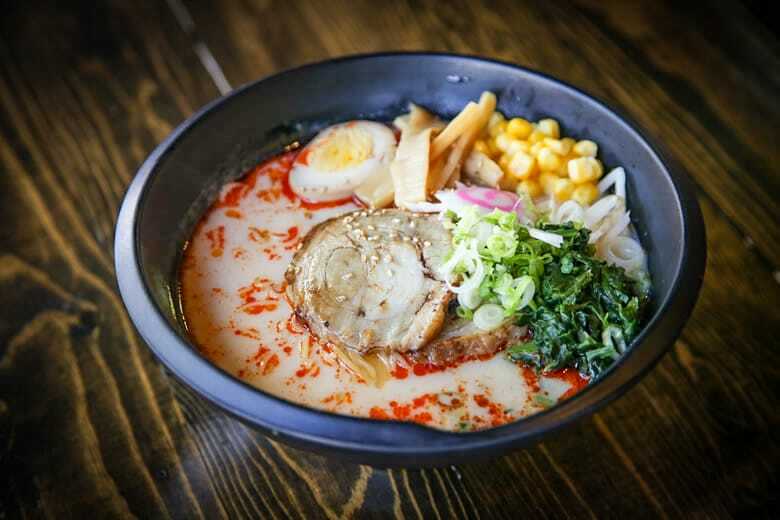 After Tajima Ramen opened at the ever-expanding SteelCraft in Bixby Knolls, there was a much-needed void filled in our ramen-less city. Now, while the void was smaller—Tajima is no Daikokuya— we needed more. Laguna Beach’s Gu Ramen will take that void over as it moves into the old Kabob Curry in DTLB on 3rd between Pacific and Pine. The OG Laguna location is well worth scouting out: the menu consists of ramen (with udon substitutions if need be) noodle soup with a choice of spiciness, toppings, and additional toppings on the side. On top of that, they specialize in Asian tapas (over 20) and beers (over 30). In other words, they’ll be a warm welcome to the grub scene.